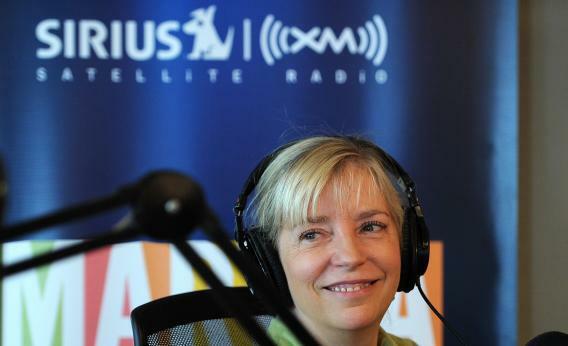 Sirius XM could see a dramatic shift in its royalty fees. Pandora’s income potential could soon be set loose. New U.S. legislation proposes to recalibrate how music royalty payments are made for online radio companies. Such costs lock up about half of Pandora’s revenue. A new Breakingviews calculator shows just how much value could be released by reducing them. The Internet Radio Fairness Act, a rare bipartisan proposal in Congress, seeks to revise digital laws enacted almost 15 years ago when the medium was less developed and understood. Judges instead would be directed to impose royalty rates for online services using the same standard historically applied to other forms of radio. U.S. satellite radio monopoly Sirius XM, for example, pays a proportion of revenue that’s more than 80 percent lower than Pandora’s. Even terrestrial broadcasters support the measure. Powerhouses like Clear Channel stream their stations over the Internet these days, so pay higher fees to musicians and other copyright holders for distribution over the Web than over the airwaves. But Pandora is one of the clearest beneficiaries. If its royalties-to-revenue ratio were to fall from last year’s 54 percent to Sirius XM’s 8 percent, its bottom line, by extension, would soar. That would almost certainly revalue the company’s shares in a meaningful way. Using consensus estimates for next year’s sales, applying the lower royalty rate, taxing the resulting earnings at 25 percent and putting them on an industry average price-earnings multiple of 24 would lift Pandora’s shares from around $11 apiece to over $28, according to the Breakingviews calculator. Even supposing the royalties fell more modestly, to between what Pandora pays now and Sirius XM’s rate, the stock should be worth about 24 percent more than where it currently trades. The legislative proposal has a long way to go. For one thing, entertainers and their powerful lobbyists in Washington will fight back. MusicFirst, a coalition of labels and artists, also wants to level the playing field, but by raising royalty rates for other services, not shrinking them for the likes of Pandora. Nevertheless, with a plan now on the congressional playlist, there’s greater option value to Pandora’s income streaming.